Did anyone guess which project was mine on SYTYC? It was the Painted Flour Sack Towel Skirt, and I got second place in that round! This week’s theme is Upcycle, so go check out the great projects and vote for your favorite. I really wanted to title this project “Girl’s Ombre Chevron Painted Flour Sack Tea Towel Skirt”, but I was pretty sure that would be a little too long. That pretty much sums it up though. This skirt is made out of a flour sack tea towel (think the ones that grandma used to embroider on). 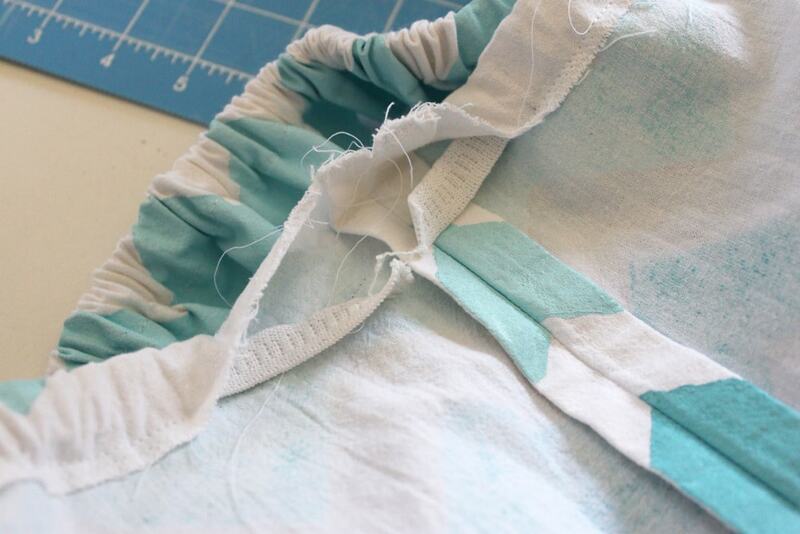 Using a tea towel keeps sewing to a minimum since you don’t have to hem it! Sweet! 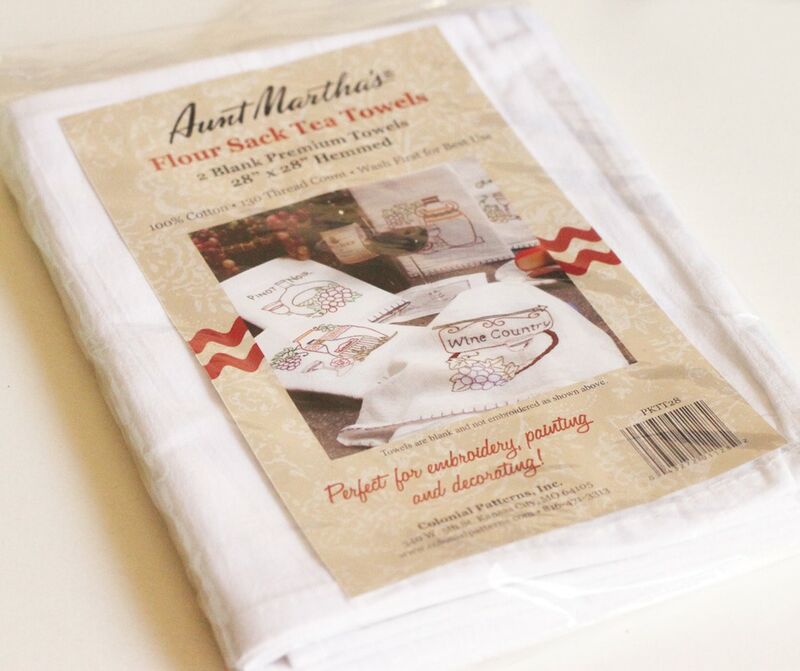 I found the idea to use a flour sack towel on this post here at Filth Wizardry. Now that you know which project is mine, I can share a tutorial with you! 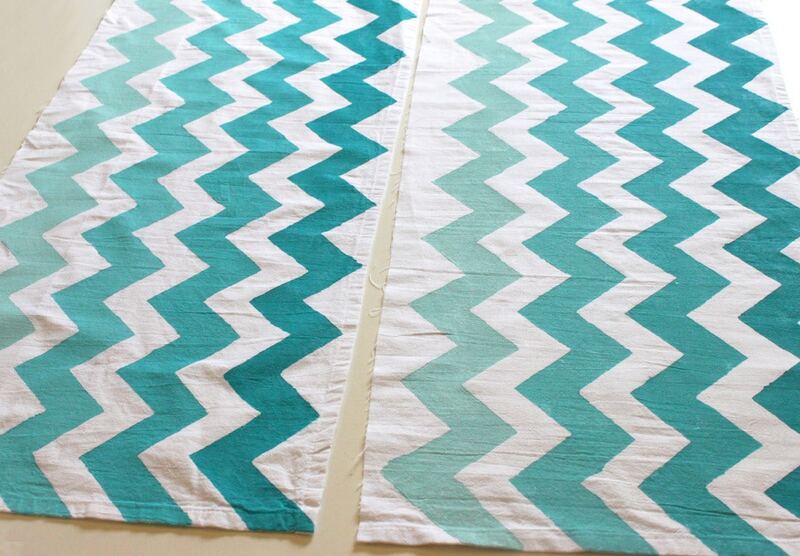 All you need is a flour sack towel, blue and white fabric paints, 1″ wide painter’s or masking tape, and 1/2″ elastic. First wash, dry and iron your towel. I got mine in the embroidery section of the fabric store. It was 28″ square. Cut your towel in half down the middle. 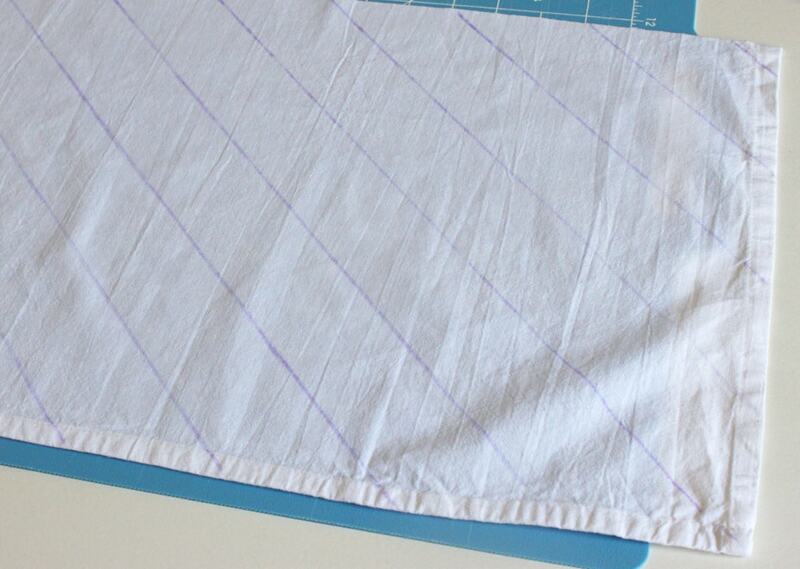 The long hemmed sides will be the bottom of your skirt. 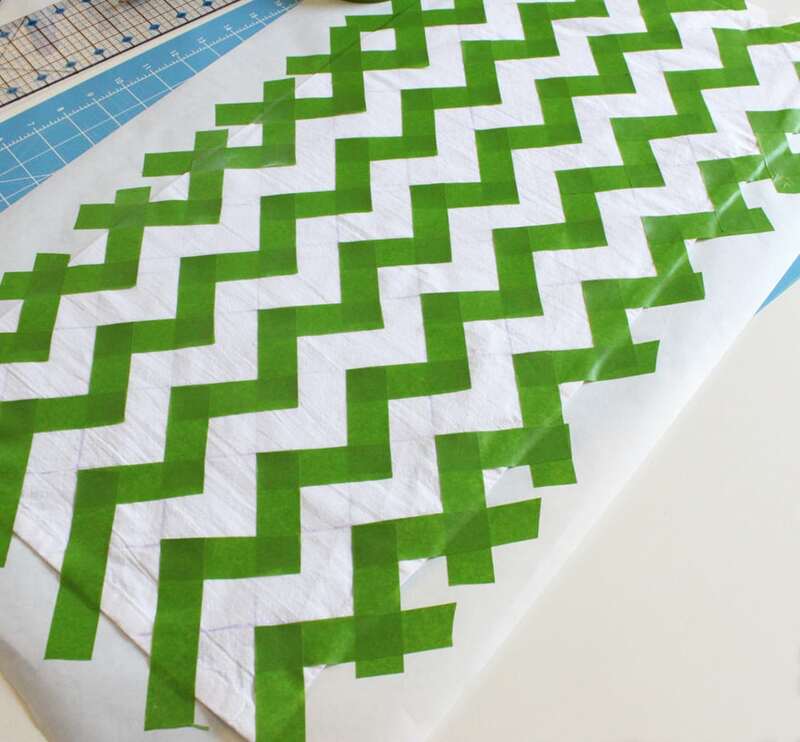 Now you need to tape off your chevron pattern. 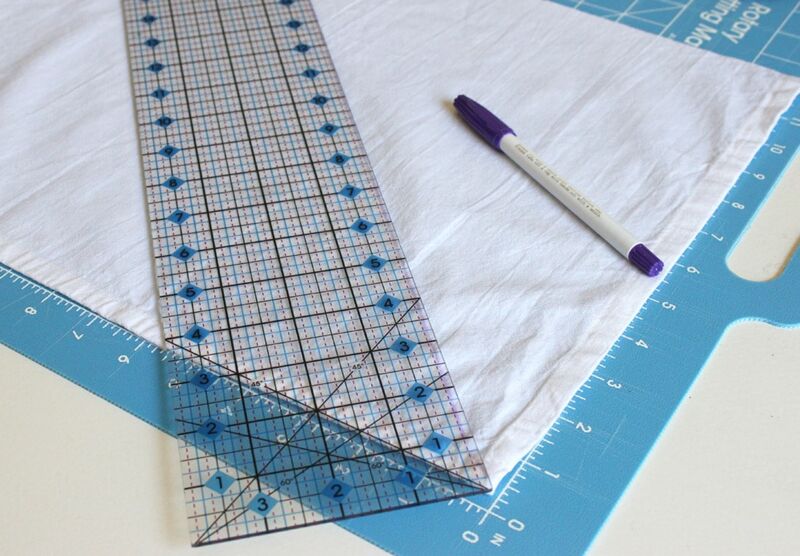 Place your ruler at a 45° angle from the bottom right corner and draw a line with a disappearing ink marker. From that line, measure two inches away and draw another line. Repeat until you have gone across the entire width of the fabric. Turn the ruler around and make 45° angle lines in the opposite direction. 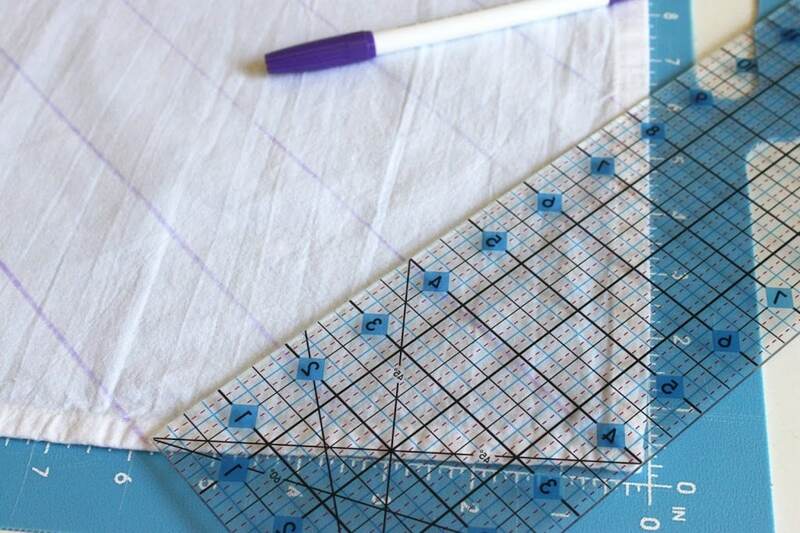 Continue making lines two inches away from that line across the whole width of the fabric. 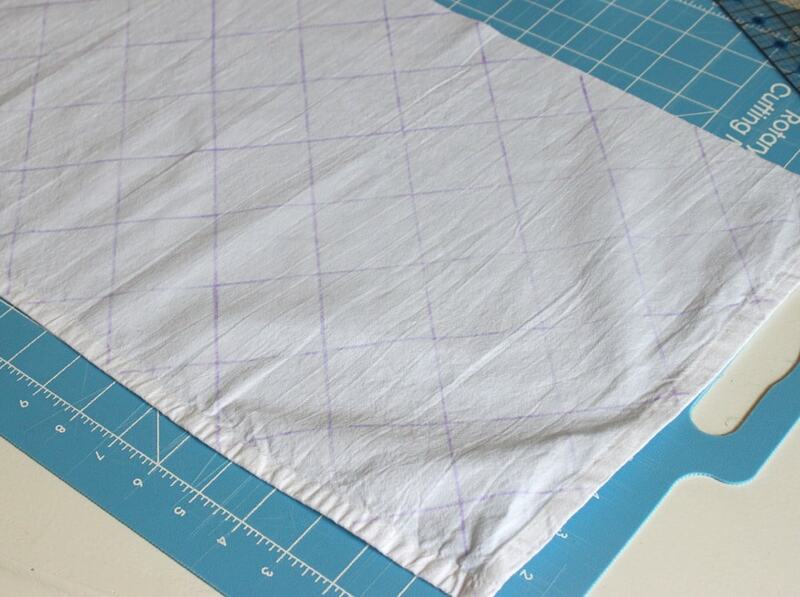 Tape along the lines, cutting the tape with scissors at the corners to make sure you get nice clean edges. I taped mine directly to some freezer paper that I used to protect my surface. Do the same with the other half of your towel. 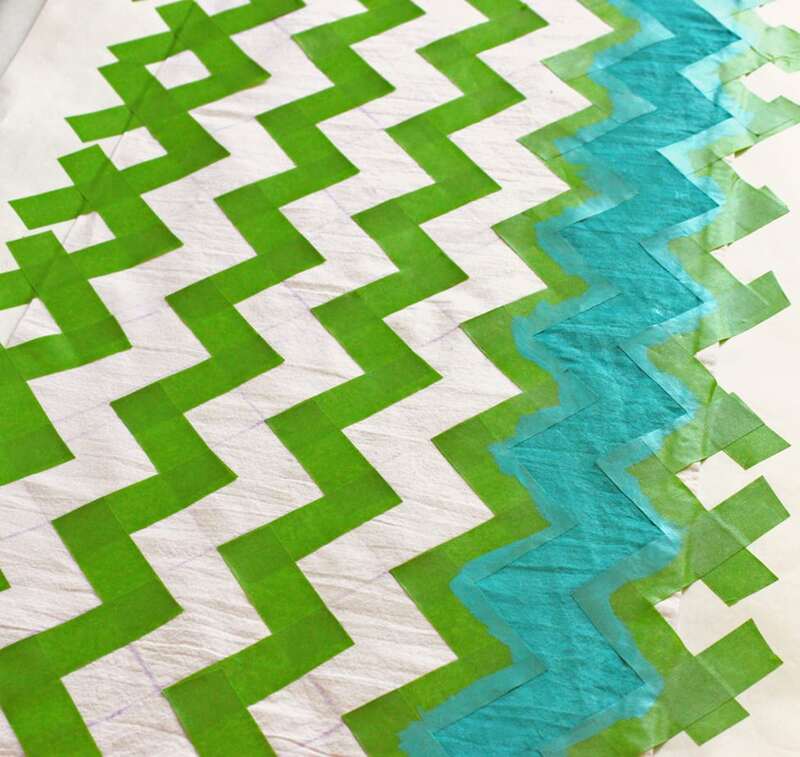 Try your best to make it so that the chevron will line up when you sew the sides together. Time to paint! I always like to know exactly what product people use, so this is it. 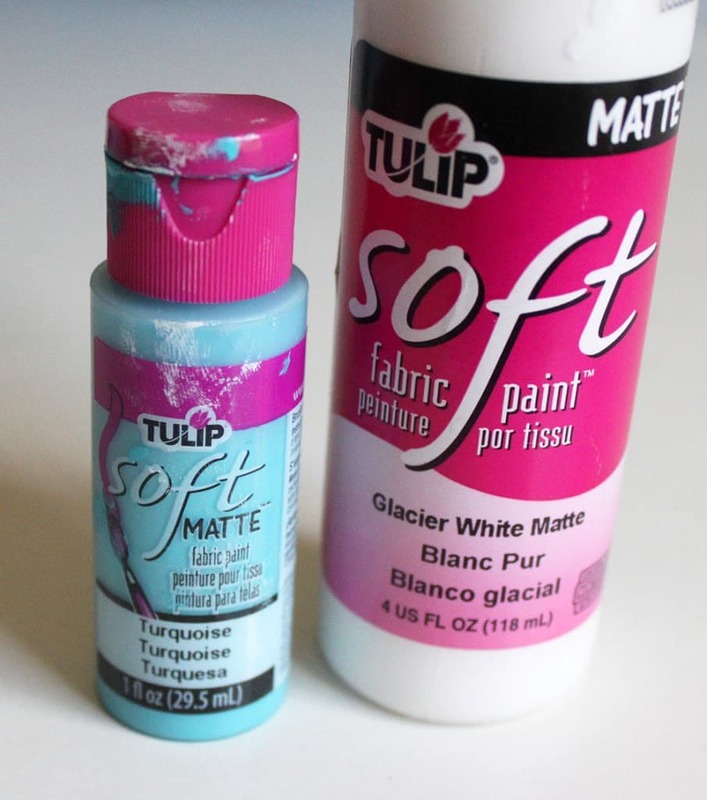 Tulip’s Soft Matte fabric paint in Turquoise and Glacier White. I started with my paint full strength for the bottom section, mixed half white and half blue for the next section up, and then just eyeballed it for the other two. Just make sure to mix enough for both halves so you don’t have to go back and try to figure out what color to make it again. Start on the tape and paint in towards the towel so you are not shoving paint under the tape. Once the paint is dry, follow the instructions on the bottle to set it. Usually this involves ironing or tossing it in the dryer. After that, you can assemble your skirt. Pin and sew the two side seams, right sides together, to form a large tube. Zig-zag or serge the raw edge on the top of the skirt. 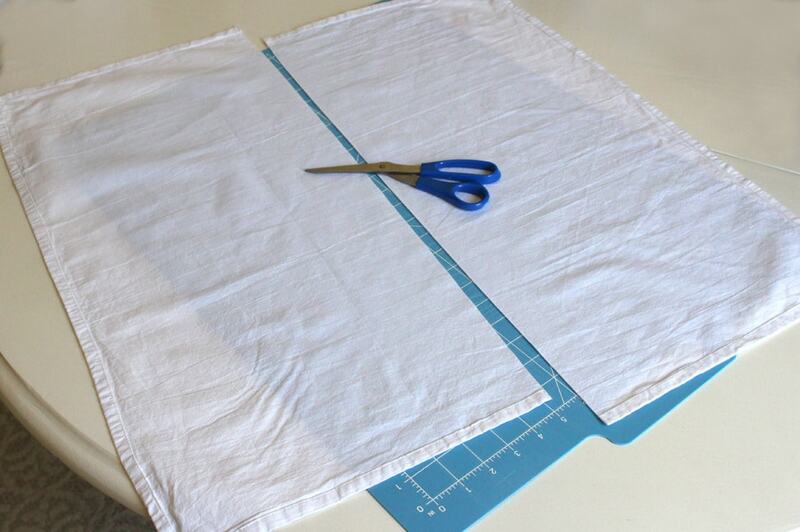 Fold and iron the top down 1 inch and sew it around leaving and opening for the elastic. Thread the elastic through the opening, sew the ends together, and then sew the opening shut. Comfortable, cheap, easy, and cute! A lady even asked me where I got the adorable chevron fabric. She was shocked when I told her how I made it. Best compliment I could get! This is darling! I love the texture of the flour sack and the pretty blue you used. I’m visiting today from Mop Up Mondays. I hope you get the chance to visit my blog, linkup and leave a comment, too! i love this skirt! beautiful job! i have never painted fabric, but this makes me want to give it a try! Thanks! It was so fun to make! 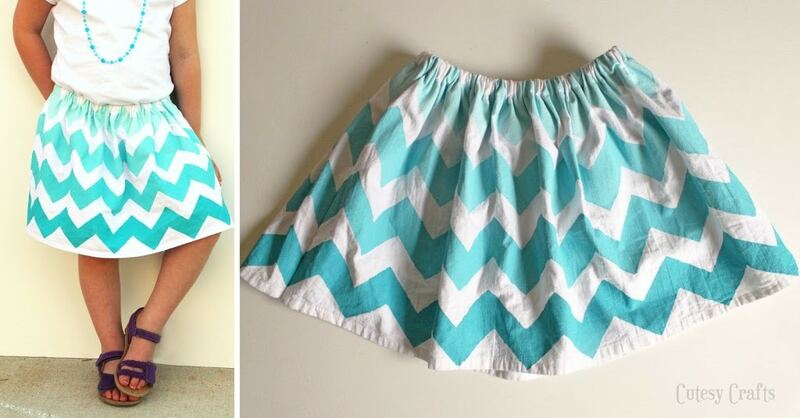 A lot of work for a skirt, but super freaking cute! Love it!! I hope you link up with us this week! This is adorable! If you wouldn’t have said anything, I would have totaly thought that it was made from one of those expensive designer fabrics! This is awesome! I love the ombre effect on the skirt! The link I’d posted for the DIY Showcase wasn’t working ~ I fixed it below. Hope you can stop by! So sweet! I would totally wear that if it was in my size! Hmmm… maybe pillowcase skirt? Haha. 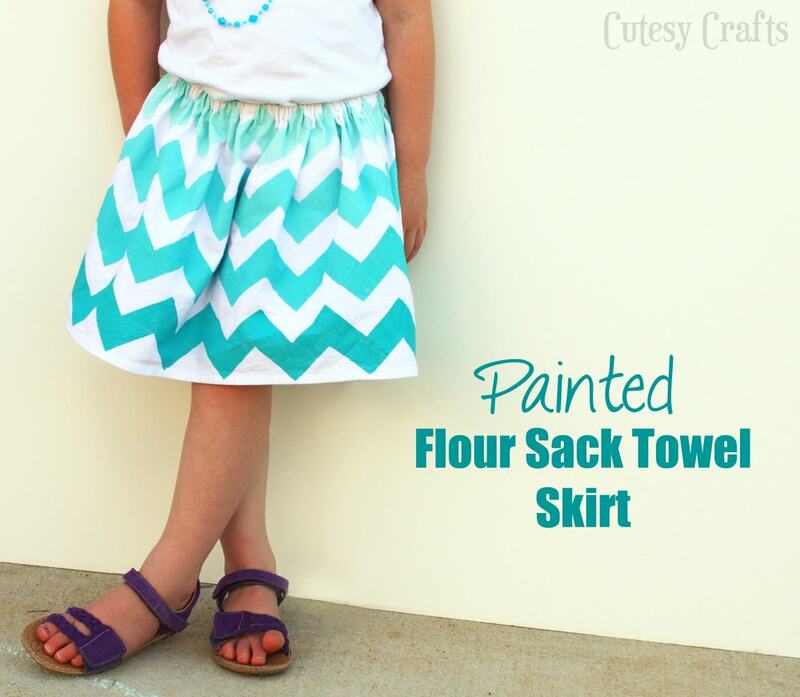 I love the texture of flour sack material and making into this simple skirt is brilliant. Thanks for stopping by and sharing! So cute! Thanks for the tip on marking out your chevron – I always struggle with getting it even. So darling! 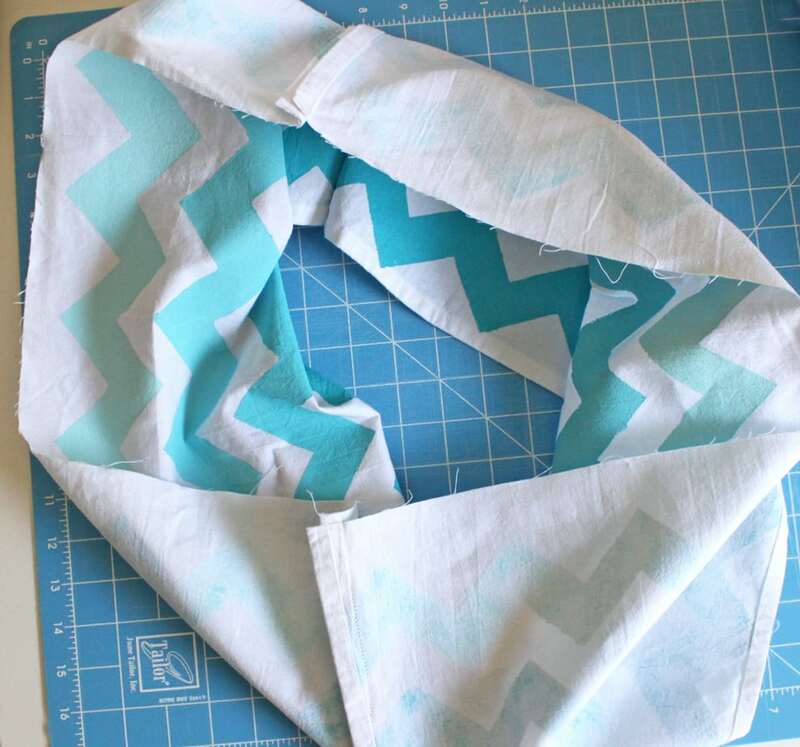 Thanks for the tutorial and how you make the chevron print-love it! We’d love it if you would link back to BeBetsy! Grab a Button.